There is a very good reason why pies exist in every variation on the sweet–savory scale: everybody loves pies. After all, pies are made up of adored ingredients — juicy apple and cinnamon, gooey berries and sugar and fluffy potatoes and chicken, to name a few — that are then wrapped in a doughy crust for a self-contained meal. What more could you want? Well, other than a slice to eat this very instant, perhaps you could also opt for delicious pie recipes that work for breakfast, lunch and dinner. 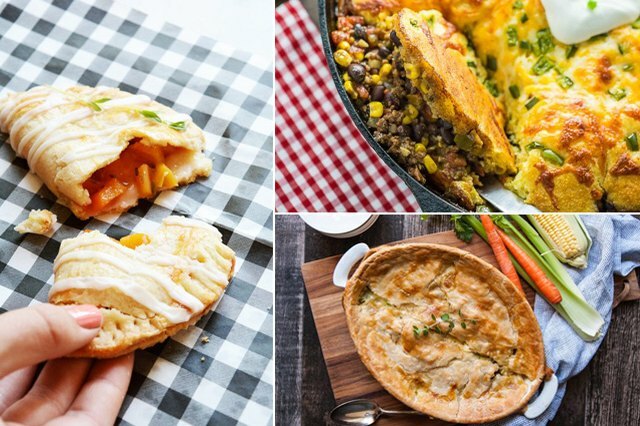 From classic cherry and shepherd's pies to innovative tamale and hand pies, this list gives you the opportunity to eat these golden creations throughout the day. And you thought you couldn't love pies more. Cherry pie is always a good idea. Because let's be real: you would for sure eat cherry pie for every meal if you had the chance. Something about its crispy crust and tart cherries make it worthwhile at any time of day, including breakfast — it's like the very highest form of Pop Tarts. You obviously don't need to be convinced, you just need a killer (and easy) cherry pie recipe. So there you go. Smoothie pie? Or pie smoothie? It doesn't matter. It's a smoothie and you can have it for breakfast. It's still a decadent choice, yes, but it's a bit healthier than a slice of cherry pie first thing in the morning. 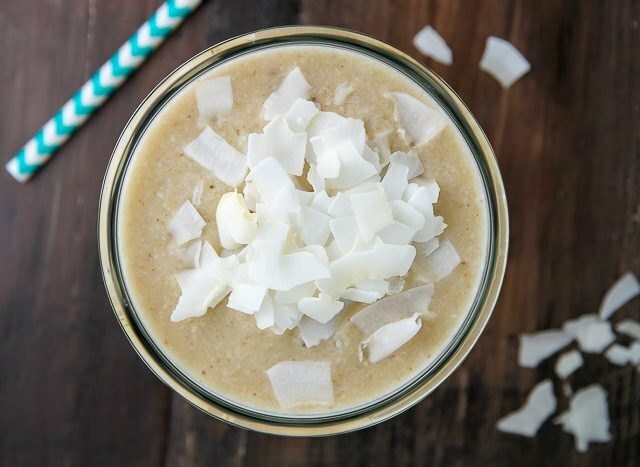 Try out a coconut cream pie smoothie that uses simple ingredients like bananas and honey, and you'll have a super-fast, super-tasty morning meal that you can eat on the go. There is a breakfast pie that's right for you. We just know it. And if cherry pie and smoothie pie weren't it, then these breakfast pizza pies will fit the bill. Try one or all of these comforting breakfast pizza recipes, and you might just decide that pies were actually meant for breakfast. 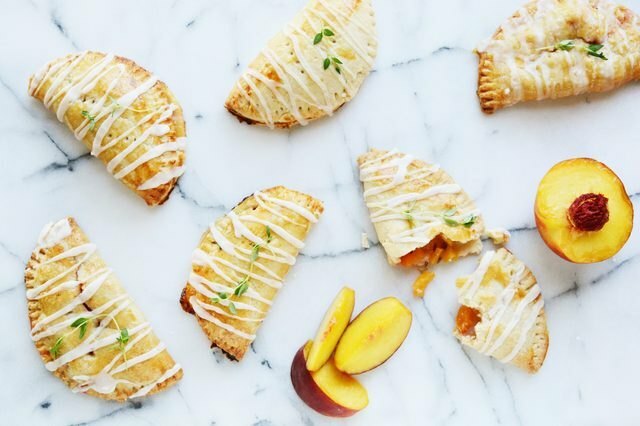 Back to that sweet–savory scale that pies cover so nicely: these peach and thyme hand pies can't really decide if they should be for snack or dessert, so why not just make them anytime you feel like it? Because they're delicious (and pretty adorable, too). Mini cherry blueberry pies are perfect to bring along to school or work for just the right amount of sweetness in the middle of the day. 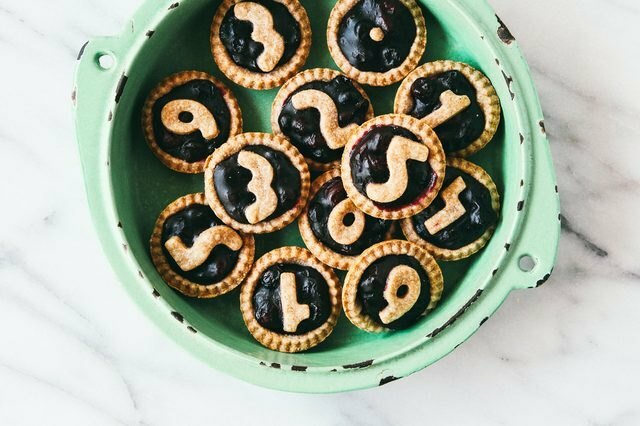 What's the difference between hand pies and mini pies, you might ask? Let's just say that both are delicious, but you really shouldn't plan on keeping your fingers clean with these blueberry treats. 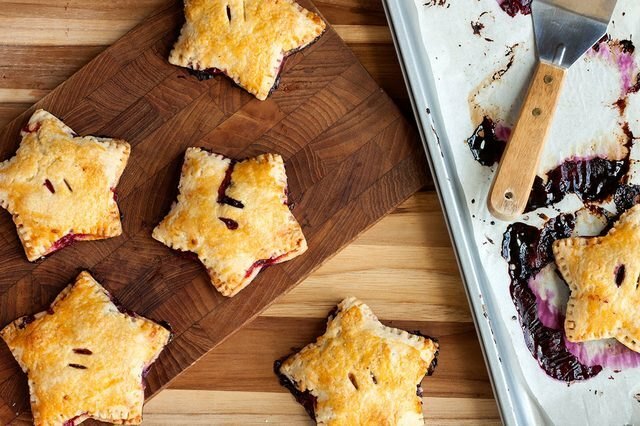 If you want a deliciously sweet pie that's an ideal option for a crowd, star-shaped berry hand pies are for you. The star shape brings an added cuteness and spirit to your party, and they are easy to hold as you move from one conversation to the next. Scoop out the berries onto the star-shaped dough the night before the event, and then set them in the oven right before guests arrive — your home will smell wonderful. What does "a pie for every meal" really mean past the usual sweet options? It's serious business when you make a tamale pie. 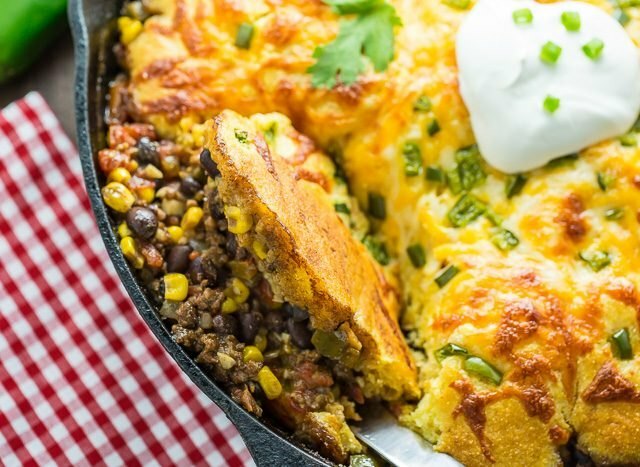 Made of seasoned ground beef that's mixed with corn, black beans, cilantro and more rich flavors, this is the type of pie that serves up a hefty dinner on its own. It's so delicious that you'll want it again for lunch. And then once more for dinner. Seriously. All right, we're really in this pie endeavor now. So what about a pie that works for special occasions? Why, that's what a cheese potato pie is for, of course. 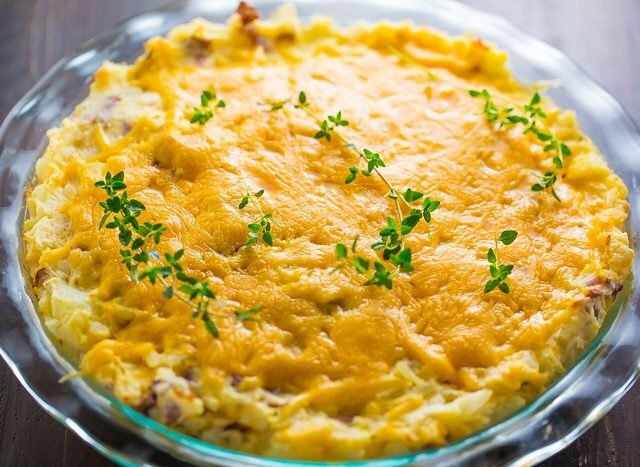 Filled with potatoes, heavy cream and cheddar cheese, this gooey pie works for a wonderfully cozy night when you want a meal that matches an intimate setting. 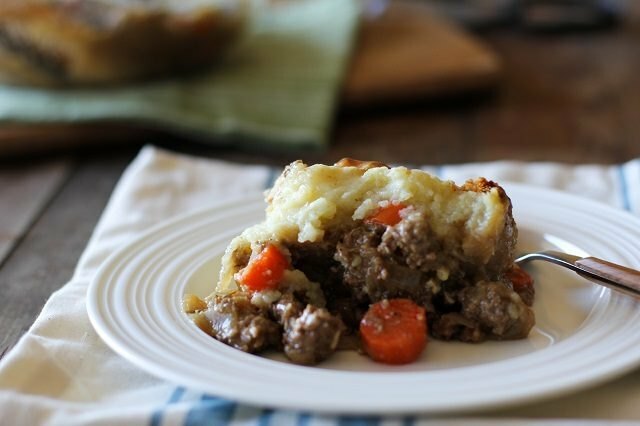 If you're still craving comfort food, but maybe want to switch over to something more hearty than potatoes and cheese, then try a good ol' fashioned shepherd's pie. This dish takes a while because of the slow-cooked lamb, but when it's ready, you'll surely agree that it was well worth the wait. 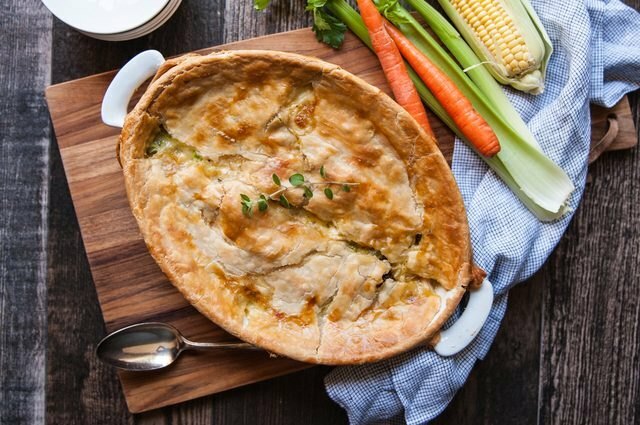 We started with a classic dessert pie, so it's only natural that we end with a classic dinner pie: chicken pot pie. When you bake this meal from scratch, the creamy chicken and vegetable mixture creates rich flavors that are healthier than most store-bought and restaurant options. Plus, if you let the flavors blend overnight, your leftovers will be even more delicious. That's a melt-in-your-mouth win.